On October 5, 1960 in Ebro, Florida, God blessed Harry & Autherene (Hogans) Andrews with a beautiful baby girl, Bridgette Yvonne. The one to become a mother, not only to her own children and siblings, but to all the ones she was to come in contact with. Being raised in a Christian home she accepted Christ as her personal Savior. 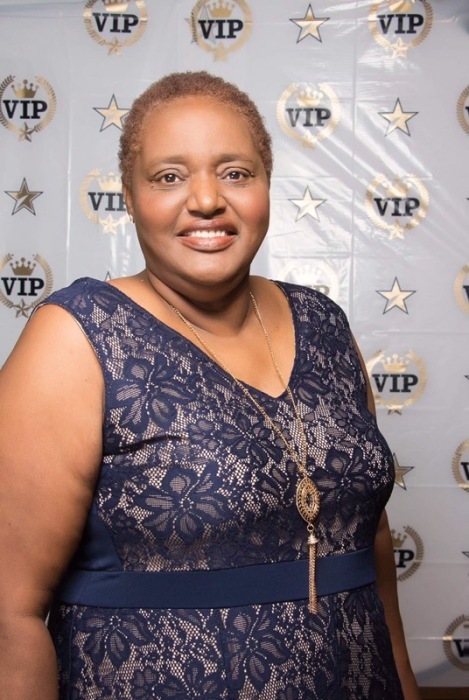 Bridgette was a member of Prosperity Christian Church International (PCCI) under the leadership of Pastor Elvis Brown, where she exemplified her gifts of serving in any way that she could. Bridgette was a woman who loved her family, especially her boys but more especially her grandchildren. If she wasn't spending time with her babies, then she enjoyed gardening, grilling, and making her specialty soups. Although she had a quiet demeanor, Bridgette left a tremendous impact on the lives of everyone she came in touch with. On April 7, 2019 in the Bonifay Nursing & Rehab. Center, Bridgette answered the call of her Savior and left the sorrows and troubles of this world behind. She leaves to cherish her precious memories her beloved & devoted sons: Ariane Andrews & Torrey (Cierra) Potter, both of Vernon, Florida; five grandchildren: Teona Potter, Tamia Potter, Alyssa Andrews, Trista Potter & Thalia Potter. She also leaves to remember her forever eight sisters: Rev. Vivian Hogan of Palm Bay, Florida, Connie Andrews of Panama City, Florida, Renee Hogans of Winter Haven, Florida, Gloria Davenport, Rebecca (Ferman) Peterson, April Andrews, Lena Brown, & Letisha (Pastor Elvis) Brown, all of Vernon, Florida; seven brothers: Glenn (Peggy) Andrews, Lonnie (Dana) Andrews, & Melvin Douglas all of Vernon, Florida, Walter Douglas of Ebro, Florida, Harry (Debra) Andrews, Lawrence Douglas, and Jamie Murray of Panama City, Florida; step-mother: Johnell Andrews of Ebro, Florida; special friends: Equilla Brown of Vernon, Florida and Pastor William K. Brown of Augusta, Georgia; along with a host of nieces, nephews, cousins, other relatives and friends.